Influenza (flu) season will soon be here. Keeping students and teachers healthy and in school is important for their education. Avoiding missed days of school means avoiding missed lessons. Children can be sick with the flu for a week or longer. Additionally, flu in children can be serious and can cause: fever, headache, extreme fatigue, and body aches. Children with underlying health conditions such as asthma or diabetes may become ill enough to require hospitalization. Children are often the main source of flu infection for everyone else, spreading the flu to other classmates, family members, and the community. The single best way to help prevent the spread of the flu is a flu vaccination. 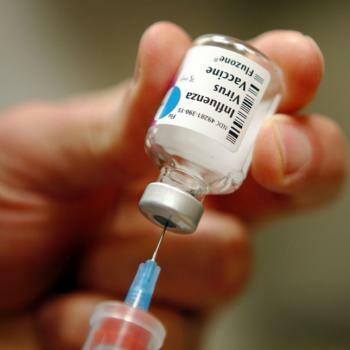 As part of a continued collaboration between the health department and the Chickasaw Nation of Oklahoma, a school flu vaccination program is available this year which will provide voluntary flu vaccinations at no charge to school staff and students (native and non-native). This program would not be possible without the support of the Chickasaw Nation of Oklahoma. Health department/Chickasaw Nation nurses will be at your school on October 30th beginning at 9:00A.M. On the back you will find a consent form that must be completed and returned by October 26th in order for your child to receive a flu vaccine. Please read each question carefully and answer them accordingly. We will be unable to immunize anyone under 18 years old without a completed consent form. Also, PK3 – 1st grade students must be accompanied by a parent in order to receive the shot. Only injectable flu vaccine will be provided (nasal mist will not be available). If students are not cooperative, the vaccine will not be administered. Parents/guardians are welcome to be in attendance. If you have any questions, please contact the Carter County Health Department at 580-223-9705.